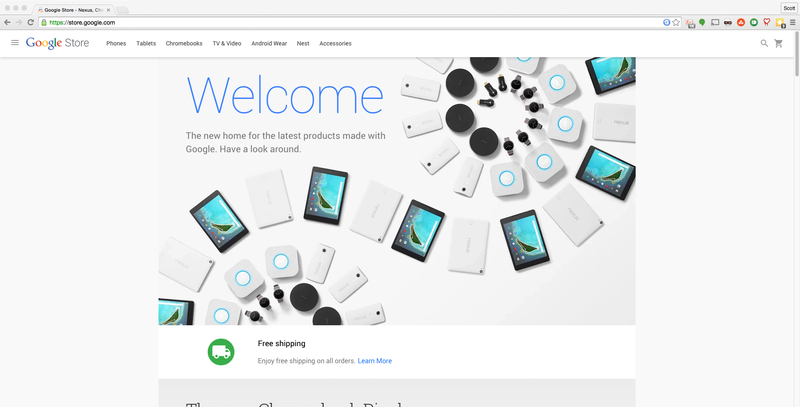 Google has opened a new Store website, and with it comes the Chromebook Pixel 2. This is a departure from the “all services under Google Play banner” way of doing things we are all used to. The upshot is the new Google Store is very well done. Categories for different products are easy to find. The new store seems more “shoppable” if that’s even a word. The bigger news here is the release of the Chromebook Pixel 2. Many (including myself) were assuming this was going to be an announcement for this year’s Google IO. Coming so shortly after the Apple announcement of the new 12 inch Macbook seems to mean they want to compete in the high end laptop space. And high end it is. The Chromebook Pixel 2 will be available in fifth generation Intel Core i5 and i7 flavors. These are, in my opinion, better alternatives to the Core M though I can see how one would disagree. RAM will be available in 8 or 16 GB depending on the model, with solid state hard drive options of 32 or 64 GB respectively. There will be a 13 inch 2560 x 1700 HD display with a wide viewing angle. For all of this power one can still expect roughly 12 hours of battery life. The ports are what make it seem like a reaction to the Macbook announcement. The Pixel 2 will sport two USB type C connectors in comparison to the Macbook’s lone port. In addition, the Chromebook will also offer a pair of USB 3.0 ports and an SD card reader. Further, these units will be priced more aggressively than the Macbook. 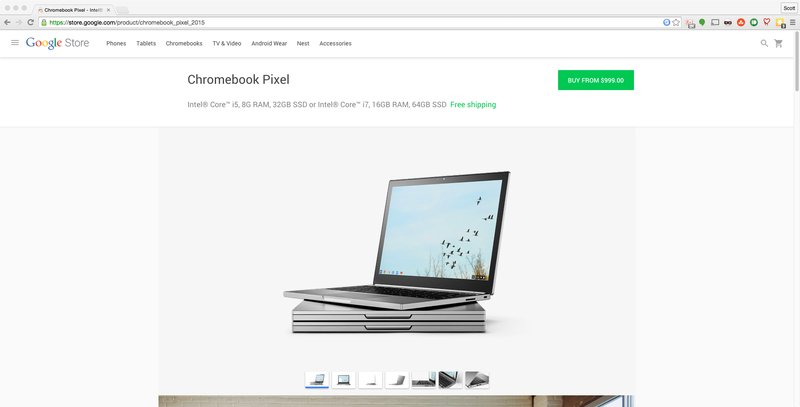 The Chromebook Pixel 2 is now available from the Google Store at $999 for the i5 model and $1299 for the i7 unit. For me, power is king and the higher clocked processors and option for 16 GB of RAM make it a no brainer between this and the new offering from Apple. Given the choice, would you prefer the Chromebook Pixel 2 or the new Macbook?